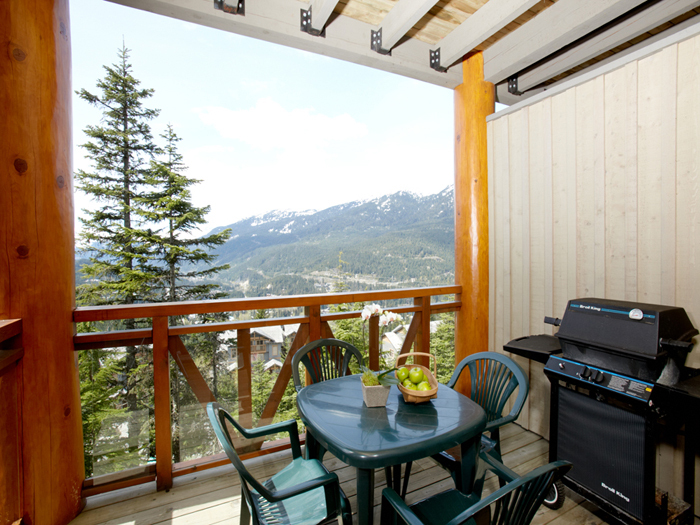 Taluswood - The Heights Whistler, BC. 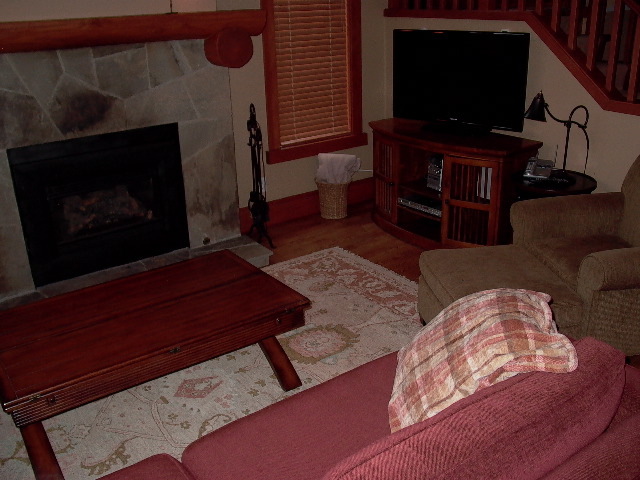 This gorgeous and spacious 3 level townhome has large windows with forested views. 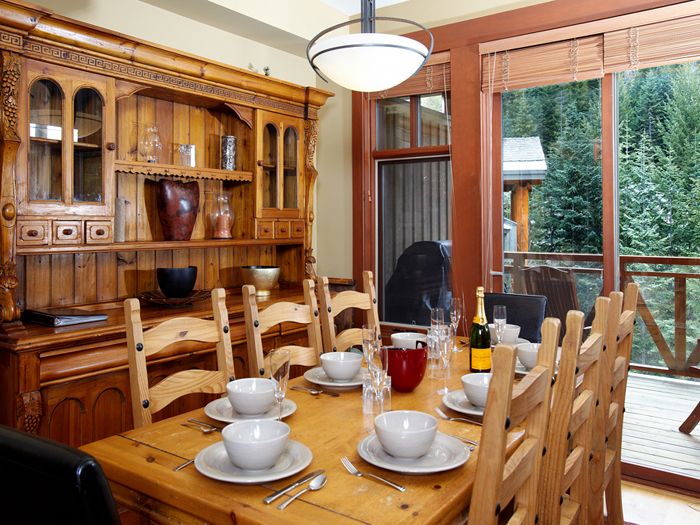 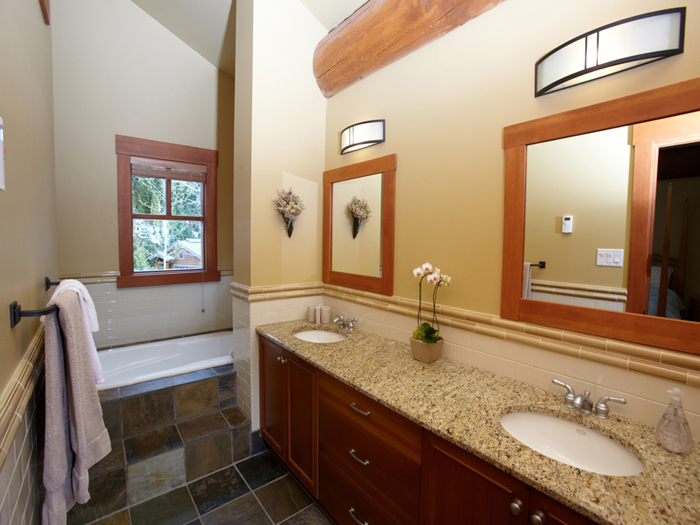 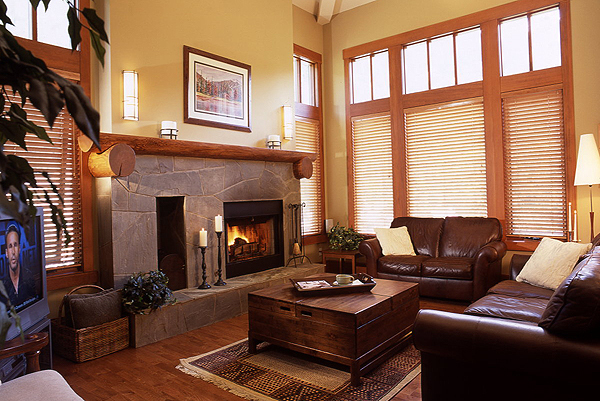 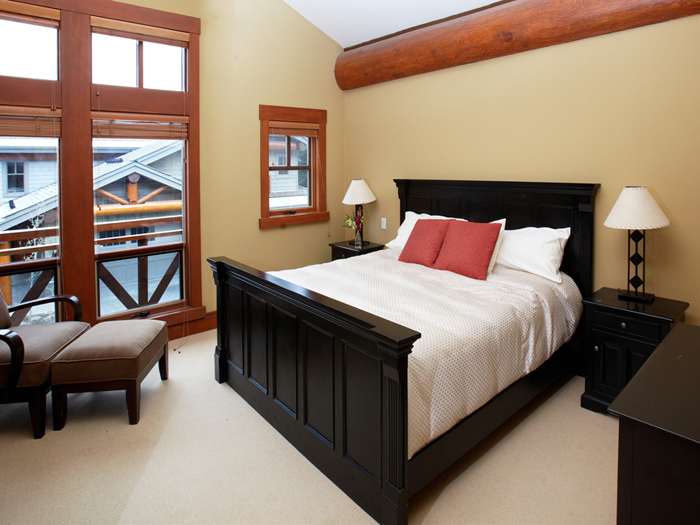 Guests will enjoy heated hardwood and slate floors, vaulted ceilings and a private hot tub. 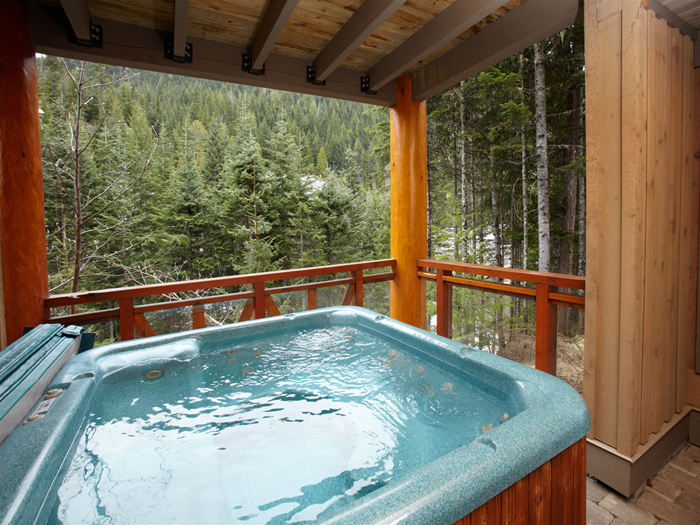 private hot tub, wet bar and more. 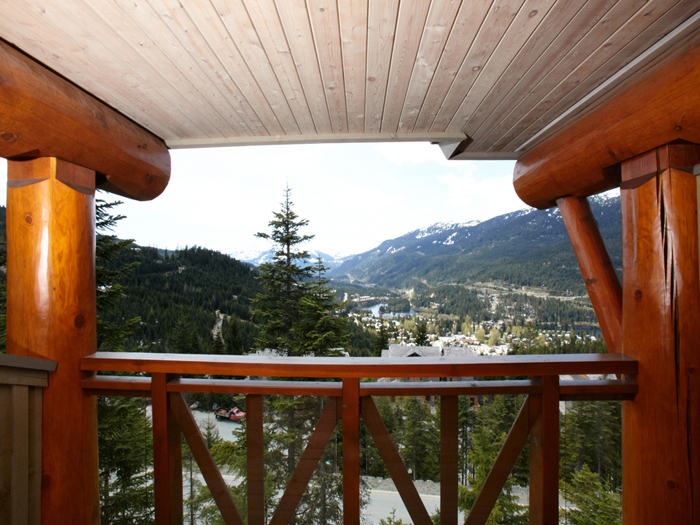 This gorgeous townhome features large windows with spectacular views south to Whistler peak and the valley. 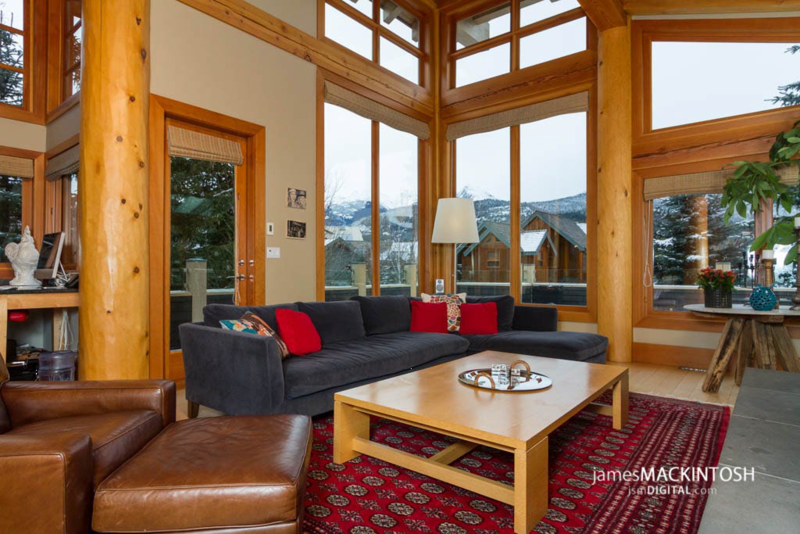 This well apointed home features heated hardwood and slate floors, vaulted ceilings and a private outdoor hot tub. 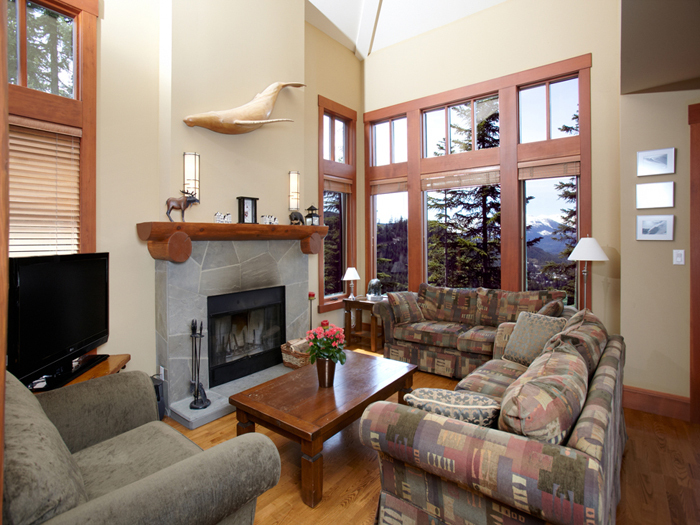 The Main Floor offers an open concept living, kitchen and dining area as well as a guest powder room. 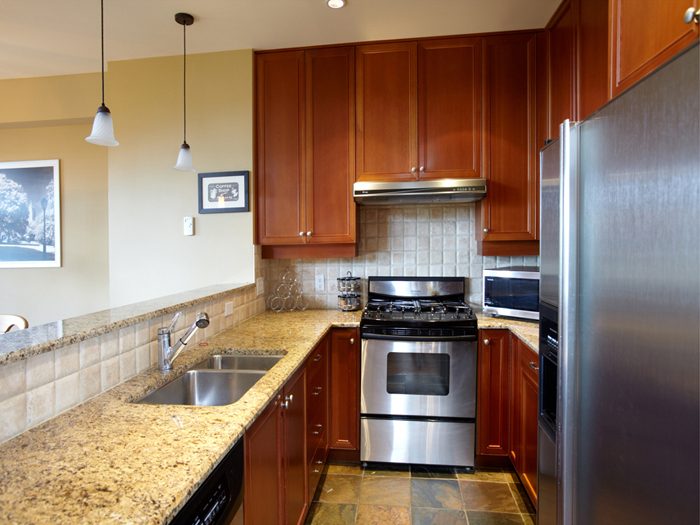 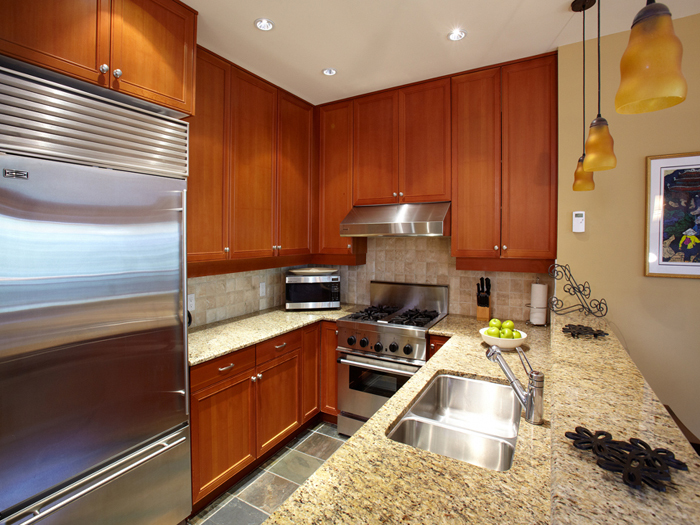 The kitchen is a cooks delight with granite counters, stainless steel appliances and gas range. 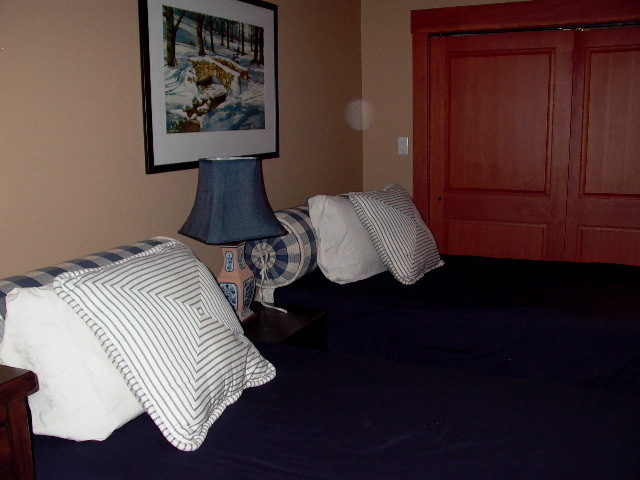 Guests can use the double car heated garage to store outwerwear. 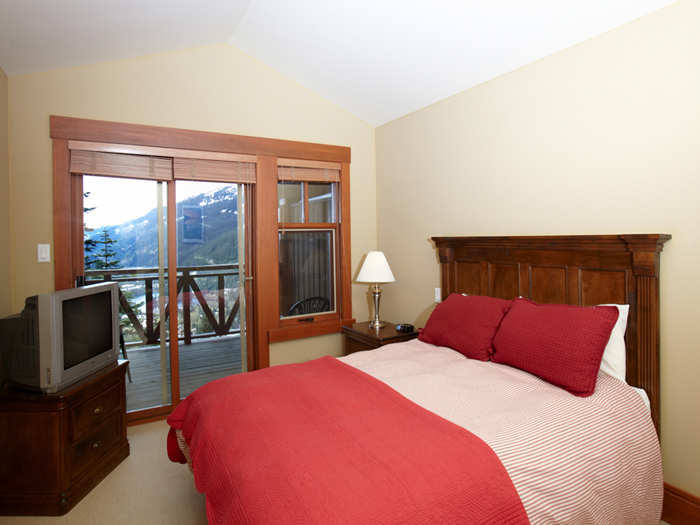 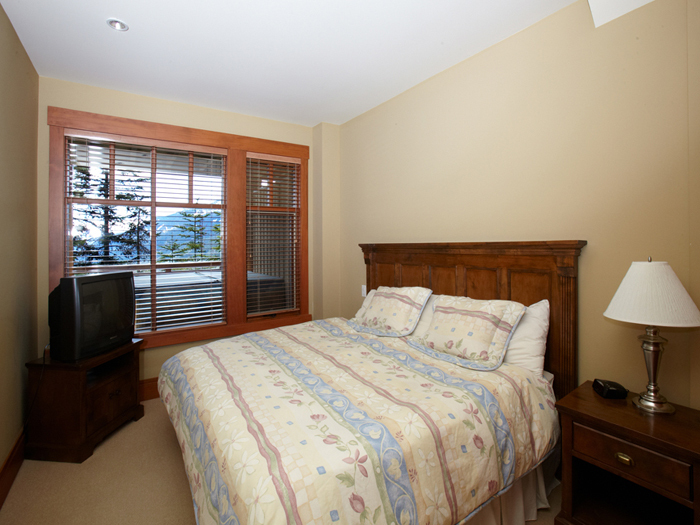 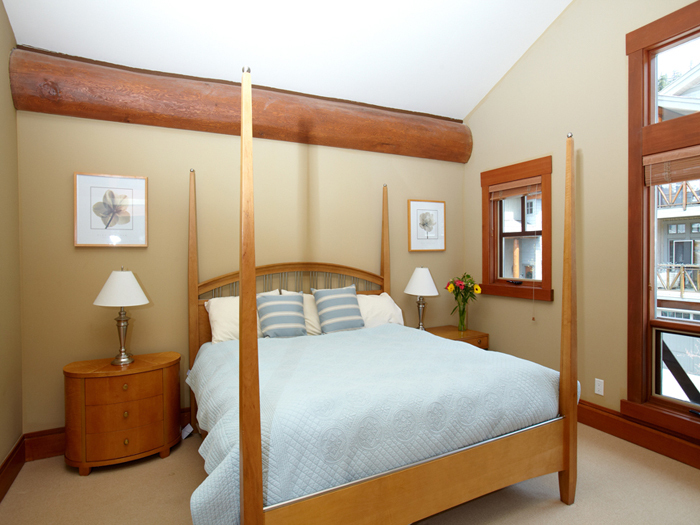 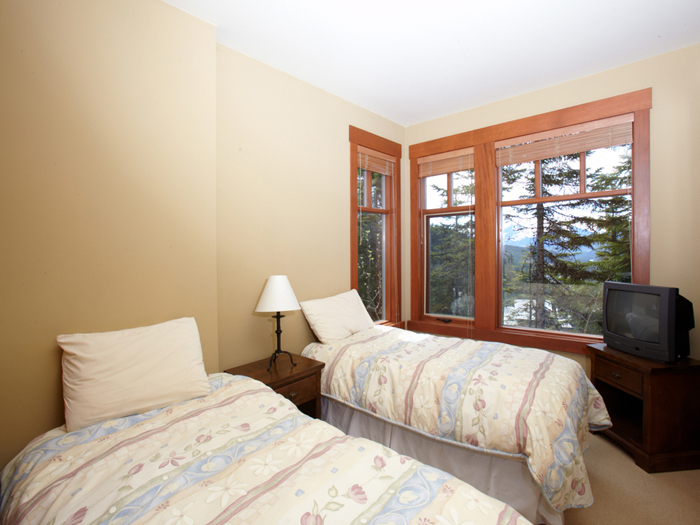 The Top Floor features the master bedroom with views of Whistler Peak. 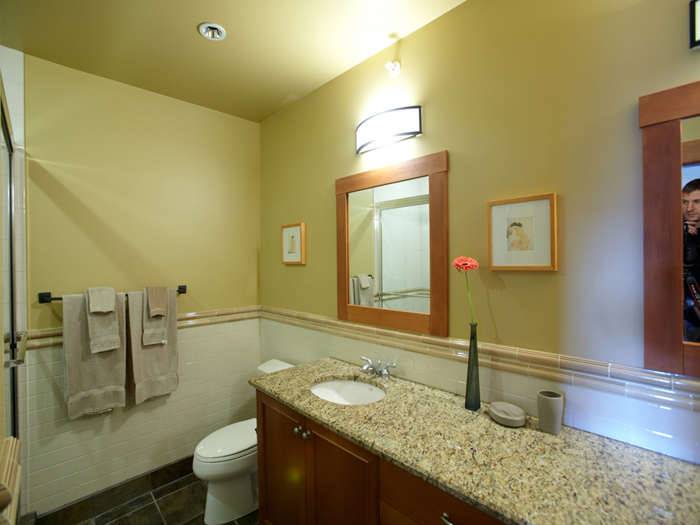 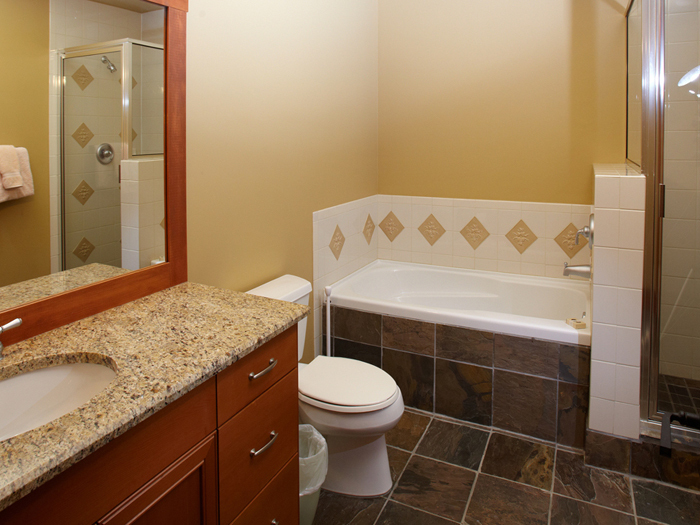 This room is fitted with a king bed, TV and full ensuite with soaker tub and separate shower. 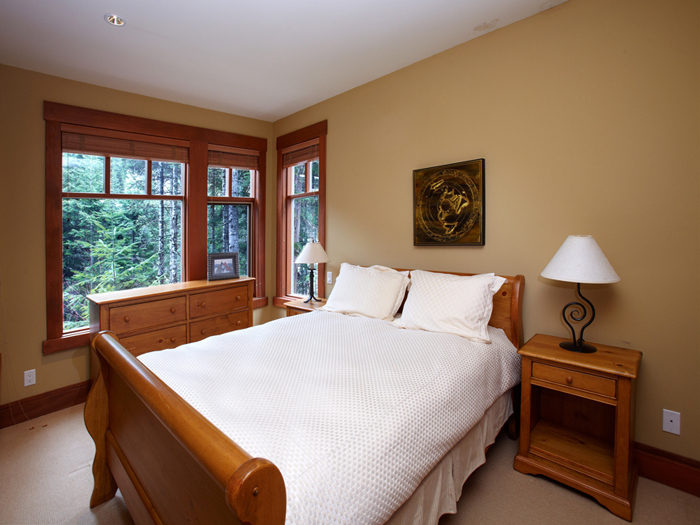 The second bedroom on this level has two twin beds and a small ensuite with shower and views. 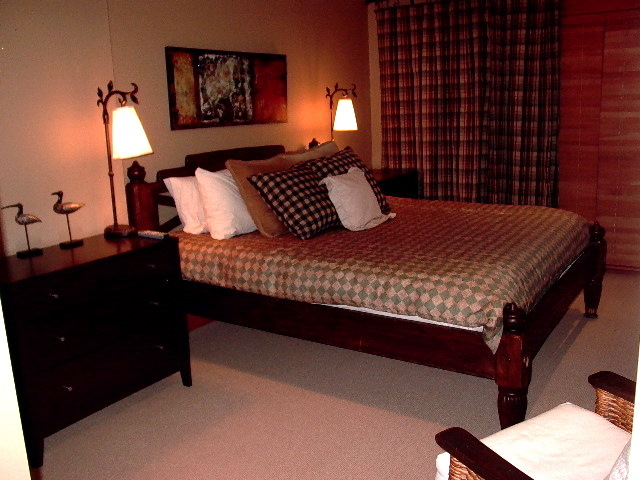 The First Floor has 2 bedrooms both with two twin beds or a king. 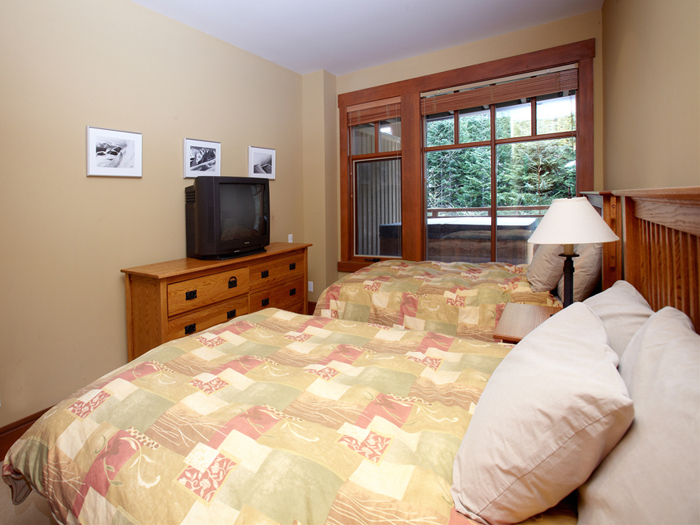 One bedroom has a TV. 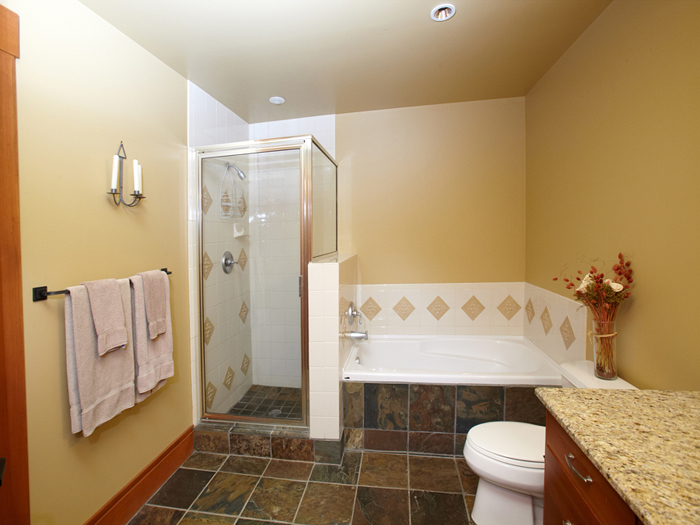 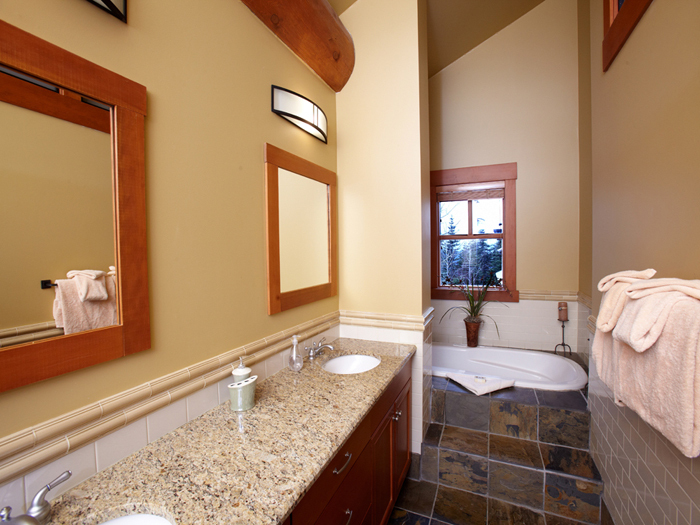 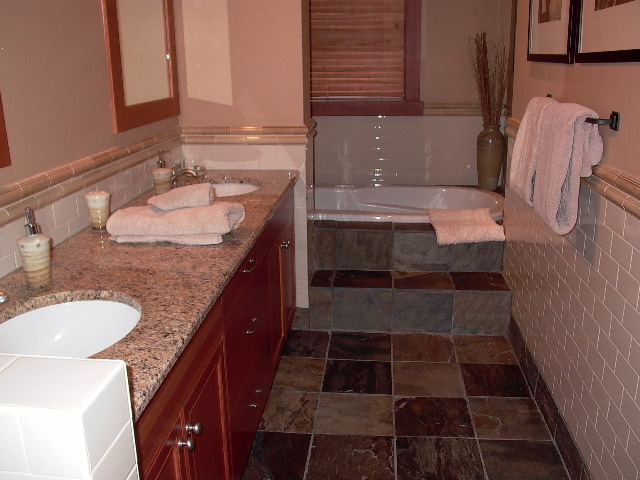 There is a full bath with soaker tub and shower as well as access to the 6 person hot tub. 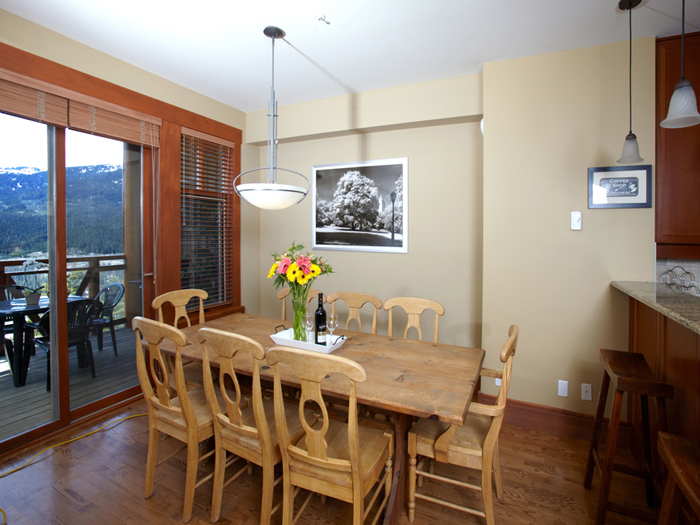 peace and tranquility in this large luxury townhome in a quiet ski in/ski out area on Whistler mountain. 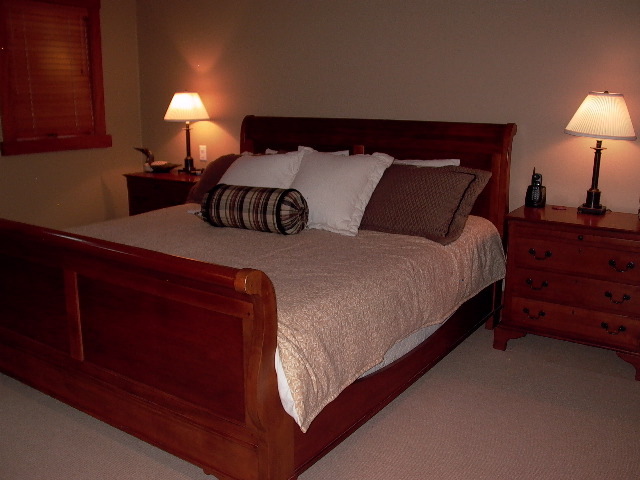 3 Master Bedrooms with King size beds, 2 lofts with Queen size beds and 2 bedrooms with Double beds with sliding trundle beds. 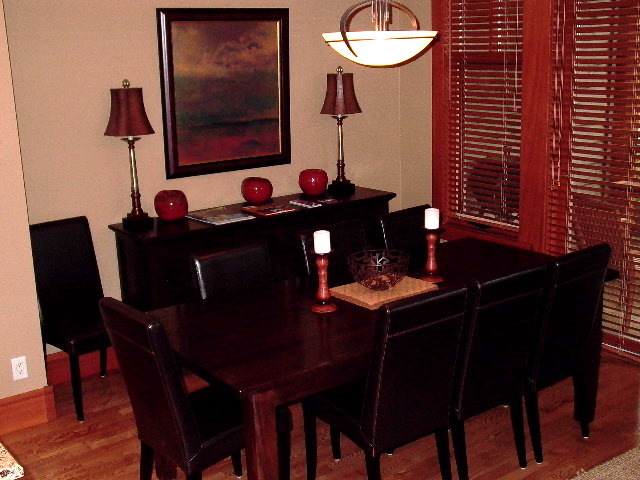 by 4 inch threads made of distressed wood and lined with glass railings. 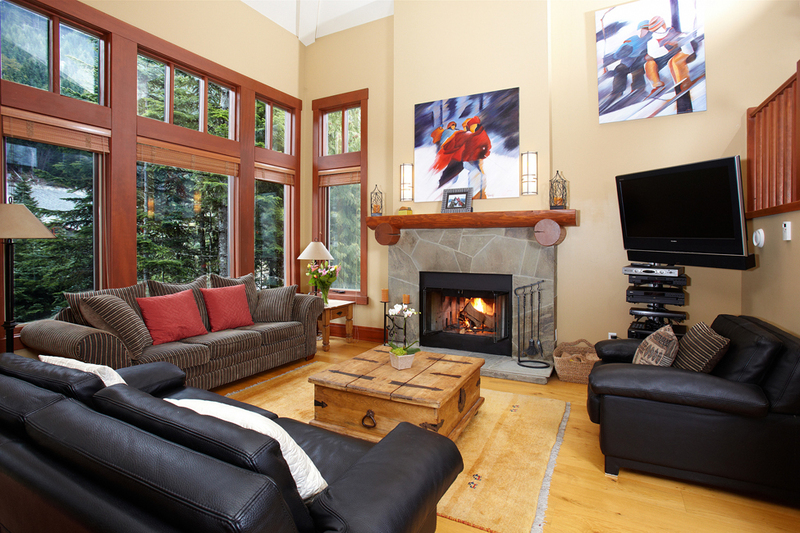 This property is less than a 2 minute walk to the ski in/ski out. 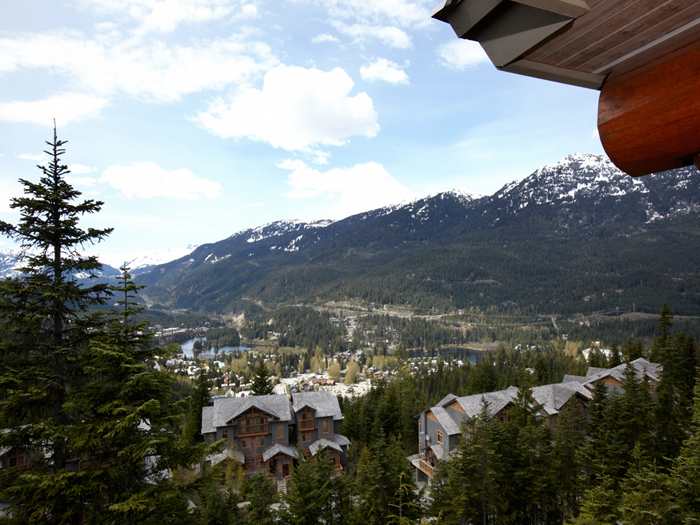 to Whistler Peak and West down the valley. 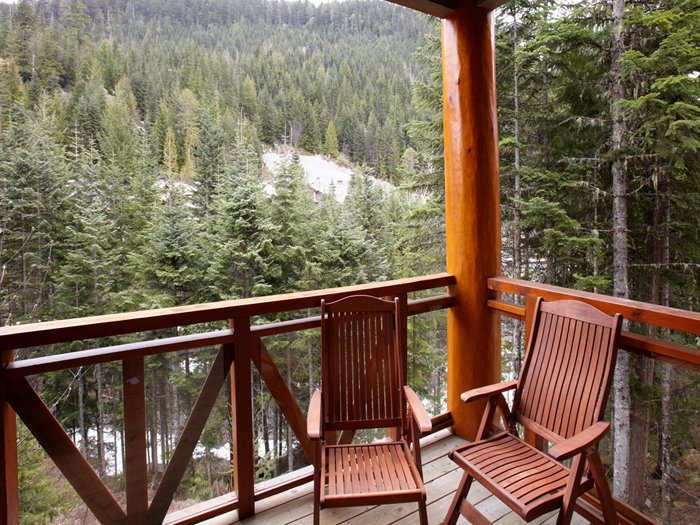 to the ski run down to Creekside Gondola. 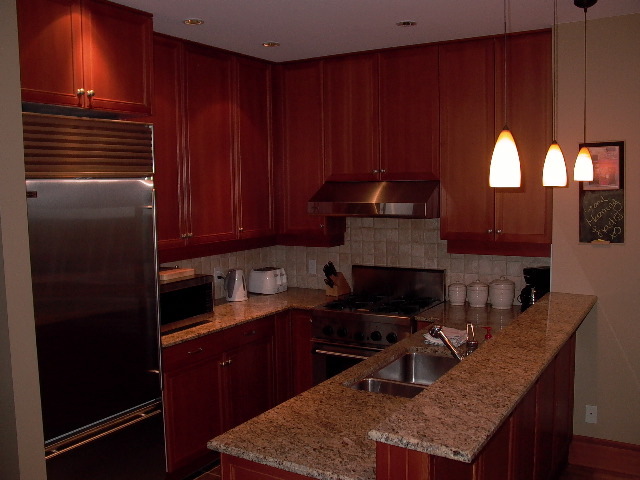 This 2000 square foot unit features a two car heated garage, 3 decks and a BBQ, an anti allergy heating system, wood burning fireplace, gourmet kitchen with granite countertops and stainless steel appliances, heated slate floors in the kitchen and bathroom.